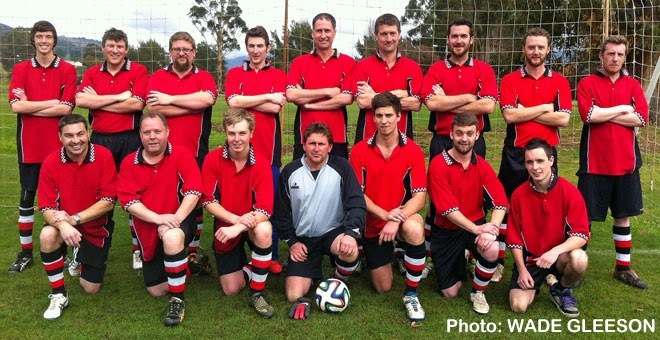 THE New Norfolk Panthers senior soccer side returned to Division 4 in 2014. With a mix of experience and youth the guys took some time to gel but learned to play together and develop the skills required to play throughout the season. It was a season of ups and downs but mainly it was great to see the team develop a distinct passing game that saw them notch up five wins. They also were able to hit the back of the net regularly, scoring in every game. The Panthers always showed 100% commitment and often outplayed more fancied opponents. We are all now really looking forward to next season. Players Player Award: Dion Barnhoorn. Golden Boot: Ollie Chaplin - 16 goals. Ollie Chaplin. Absent: James Tassell, Alyce Jordan and Dylan Styles.